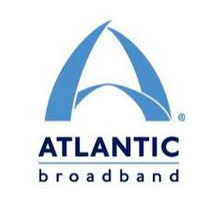 At Atlantic Broadband Business we offer an entire suite of scalable and customized Enterprise Class Data and Voice solutions to meet the demands of your business. Most importantly, we go above and beyond other business service providers by providing our communication solutions with unmatched speed, flexibility and extraordinary, hands-on customer and technical support. Whatever size your business, whatever your business needs, Atlantic Broadband Business has the communication solutions to keep your business going. LET'S GO.